Facebook’s Mark Zuckerberg didn’t get to say what he wanted about Apple’s past, and Jony Ive wouldn’t say much about Apple’s future. All this, and more, in Apple’s April 2018 in review. If you’re not already in the habit of just looking away from technology news on April 1 each year, try it in 2019. The annual April Fools’ Day round has turned up the occasional amusing moment bit we’re struggling to remember any —and none came this year. We did warn you. There’s funny ha-ha, there’s funny peculiar and somewhere in the middle there is news that’s too familiar to be funny anymore. In response to a new UK law requiring disclosure, Apple this month revealed that on average men in its British operations earned five percent more than women. Apple said that the disparity was due to there being more men in senior, higher-paying positions than women. The company did report that it was taking steps to address the disparity, most significantly in how it will no longer ask for a salary history when employing someone. However the company does have to report salary or income changes when they effect the most senior of those senior people. At the start of April 2018, seven of the company’s top executives received a bonus with a vesting of restricted stock grants. Perhaps you’re more used to getting restricted stock grants than we are, but we understand the bottom line: this was all worth a total of almost $22 million. The seven included Craig Federighi and Angela Ahrendts but not Tim Cook. Search us. They made money, there’s nothing wrong with that and doubtlessly they earned it. Still, if that’s nice for them, there was another disclosure in April that was good for all of us. As of April 2018, Apple’s entire operation runs on 100% renewable power. That does include Apple Park, it does include its data centers and it even includes all its retail stores. That last has to give you pause. It can’t be that an Apple Store can be on 100 percent renewable energy if the mall it’s in is not. And it isn’t. 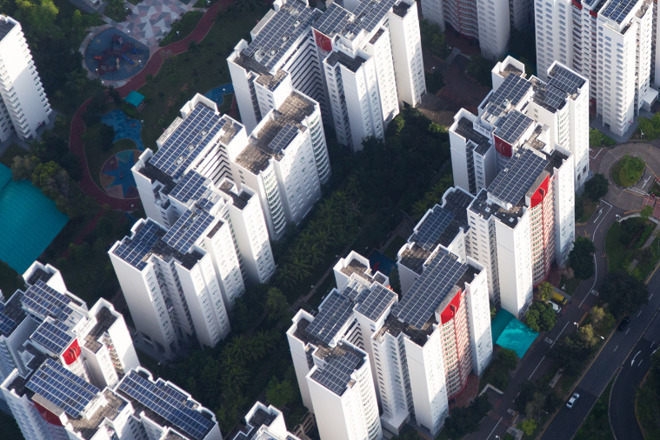 While fully Apple-owned buildings are run directly on renewable energy, there are sites where it can’t yet. In that case, Apple can produce energy elsewhere and get a Renewable Energy Certificate (REC) to show that it has consumed less power than it’s made. This one of the smallest parts of the Apple renewable power story yet it’s one where the company has truly done well. 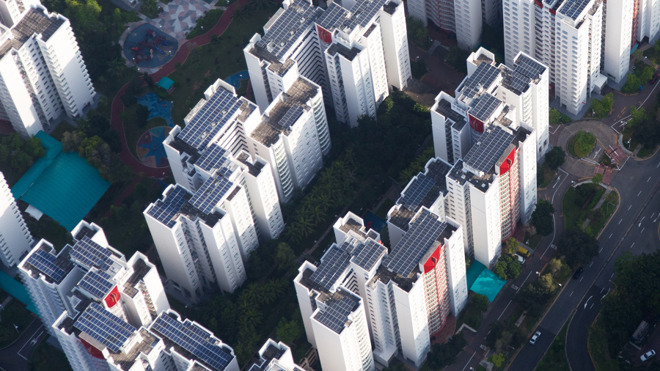 There’s a catch to the idea of RECs in that unscrupulous companies can buy them to make it seem as if they are reducing their usage of non-renewable sources. Apple, led by Lisa Jackson, vice president of environment, policy and social initiatives, is scrupulously up front about how using renewable energy either directly or via RECs from local sources. So that’s how even an Apple Store in the middle of a mall can legitimately be said to be powered by 100 percent renewable energy. Speaking of the stores, though, April saw the rare announcement that one would be closing —albeit it special Apple Watch store. Significantly, the Isetan Shinjuku store in Tokyo was closing and that was the last of three special Apple Watch pop-up shops. 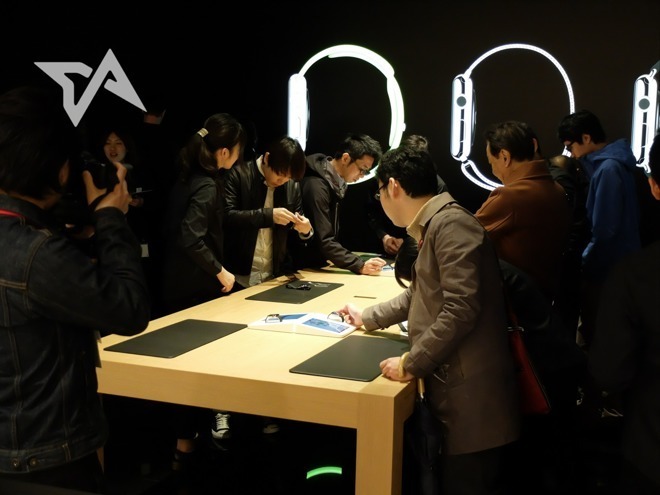 These had opened in Tokyo, London and Paris alongside the launch of the original Apple Watch. The idea was to mark the Watch out as a fashion item and since then Apple has backed away from that to concentrate more on fitness and health. So these pop-up stores may have lasted quite a while but they were just temporary sales outlets. They weren’t full Apple Stores and they didn’t have Genius Bars. Which means they are unlikely to have ever seen the kind of repair job or international attention that faced one full Apple Store. Just work through this with us. You buy an iMac Pro and you smash it when you try to take it apart. It was an accident, fine, but you chose to open this machine up and you broke it. We struggle to leap from this situation to expecting Apple to fix it at any cost —especially one more than it costs to buy a new one. That’s what happened in April 2018 when a YouTube channel tried to film taking apart the machine. So, yes, you may hear all sorts of things about Apple being able to use the finest of diagnostic tools to tell that you dropped your device into water, but here they just had to watch YouTube to see the machine being smashed. Linus Tech Tips visibly destroyed the iMac Pro’s monitor and it appears likely they also broke the motherboard. At some point the channel offered to pay for repairs to the machine, which is nice, but Apple refused, which is understandable. While the channel stoked up angry anti-Apple comments, AppleInsider worked the numbers. 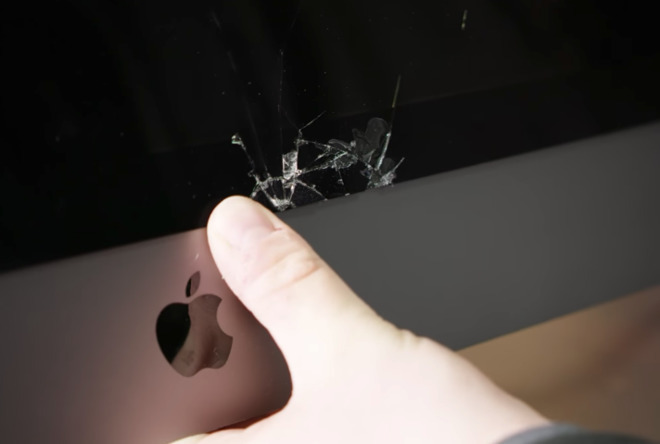 Given the known damage and Apple’s labor rates, we couldn’t get the repair cost to anything below $5,500. Since the cost of replacing the iMac Pro was $4,999, we’re completely fine with Apple’s pointing over to the new ones on sale over there. There was an interesting issue that it seemed Apple was lacking in replacement parts for the iMac Pro at this point. Still, that just means we sympathize with anyone whose machine went wrong by itself, not one that had a helping hand from a screwdriver and gravity. We’d say it’ll be interesting to see what this YouTube channel does when the new Mac Pro comes out next year but we don’t want to encourage them. It is definitely true that Apple will bring out that new machine and we got further proof of that this month. 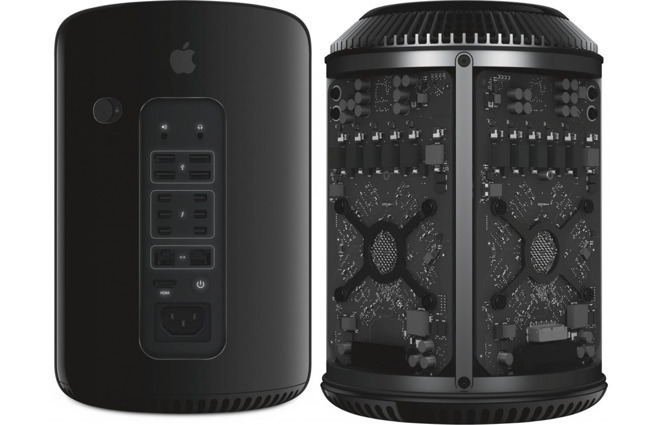 Apple had told everyone in 2017 that there would be a new Mac Pro but it wouldn’t be out that year. Then when everybody ridiculously assumed that “not 2017” equals “2018”, Apple had to tell us all again. He didn’t add “enough already with 2018” but you know people in Apple were thinking it. It does remain the case that only Apple staff actually know when in 2019 this is coming and only they who know what the machine will actually be. You can be totally certain that none of them will tell us anything. Except that we learned in April 2018 that some 29 Apple employees had been caught leaking. A dozen of them were also arrested. “These people not only lose their jobs, they can face extreme difficulty in finding employment elsewhere,” said an internal Apple blog which was presumably leaked. So in April, Apple was moving away from fashion with the closure of its last pop-up Apple Watch store and it was taking measures to stop any employee revealing details about the company. 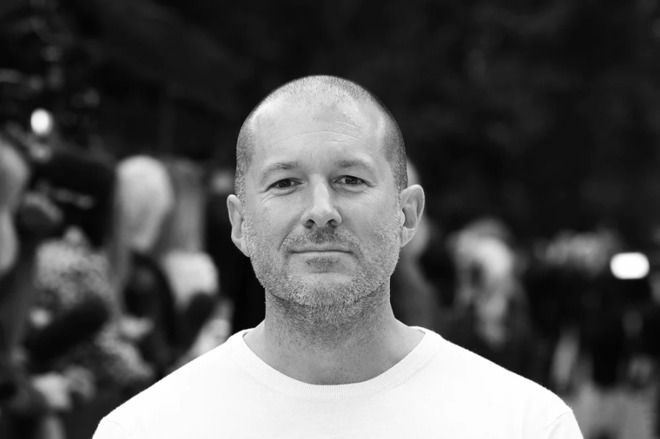 Naturally, then, it was also this month that saw chief design officer Jony Ive talking to Vogue magazine. Writer and interviewer Naomi Campbell didn’t expect him to answer questions about future products but she did press on whether it was hard to stay so secretive. Ive didn’t say that Apple is going to move away from Intel and into making its own processors, but in April everybody else was saying that. Even though we won’t know for sure until some future Tim Cook keynote presentation, the speculation got so heated this month that AppleInsider was compelled to point out that xeverybody else was saying that“>https://appleinsider.com/articles/18/04/04/stop-panicking-about-apples-rumored-switch-from-intel-to-its-own-chips-in-the-mac and it worked out just fine. 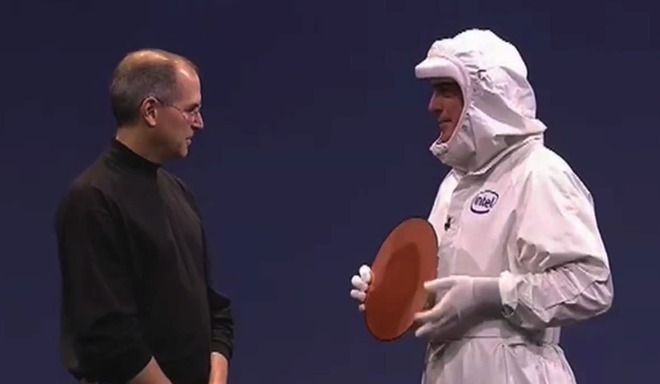 Apple made the move from 68K to PowerPC processors —and then it made the move to Intel when IBM and Motorola couldn’t keep speed promises. Does any of this sound similar to what’s been going on with Intel for the last four years? That’s not to say that Apple will manage the transition perfectly, just that it has form. Although in April that form included macOS 10.13.14 breaking software such as Duet Display, an app for using your iOS device as an extra Mac screen. For once, that didn’t seem to get a great deal of attention but then April was the month when the whole Facebook and Cambridge Analytica scandal took off. Facebook admitted this month that the analytics firm may have harvested the personal data of up to 87 million users. That was far higher than previous estimates and it sent Facebook’s stock falling whilst sending Zuckerberg to face Congress. He did not exactly get a tough grilling. It wasn’t even as tough as he’d been prepared for. 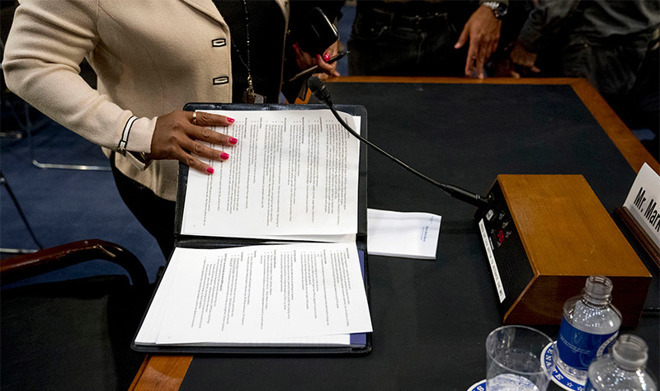 Throughout the hearing, he had notes in front of him that contained anti-Apple comments he never got to say. There was a tougher stance for Apple but only in a book. Former FBI director James Comey lambasted the company and other technology firms in a book about his time in the Bureau. He is the former director, though, so what he says was never going to get as much attention as what a current figure would. Such as President Trump. Larry Kudlow, current national economic council director at the White House, discussed a meeting the president had with Apple’s CEO. We’ve seen since April that Apple is serious about expanding its operations and hiring more staff. Yet there is an argument that it could’ve done so sooner, that it held off expanding in the US because it was holding funds overseas for tax purposes. John Oliver took Apple and other companies to task for this, though note that his piece is just a little bit NSFW. John Oliver was the most profane critic of Apple but there were others. Including Facebook’s Mark Zuckerberg who just won’t it go. He called Tim Cook glib for saying he would never be in Zuckerberg’s shoes because Apple would never have released data the way Facebook did. Then there was also this month’s Apple Music versus Spotify spat. 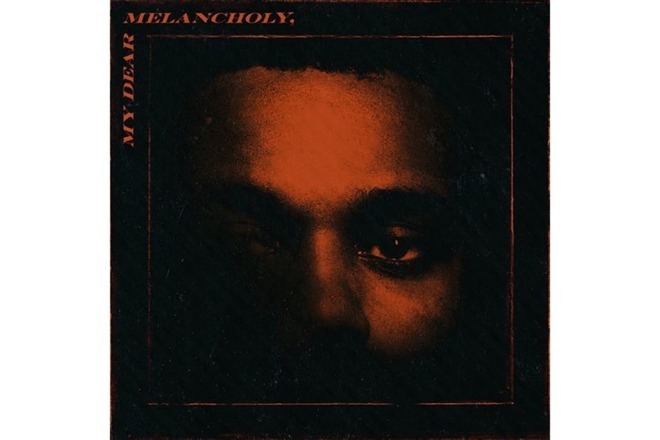 We’re losing track of these numbers just as quickly as we did with restricted stock grants, but basically Apple Music says it had more people“>https://appleinsider.com/articles/18/04/03/apple-music-almost-doubles-new-weeknd-song-streams-versus-spotify streaming R&B singer The Weeknd’s latest release. And Spotify says no, we did. What was not disputed was that Apple Music this month passed 40 million subscribers. They were probably all attracted by Apple Music’s great Connect feature. April 2018 was bookended by two awards. At the start of the month, Tim Cook went to Birmingham, Alabama, for the 50th anniversary of the murder of Martin Luther King, Jr. He also received the Human Rights Award from the Birmingham Metro Southern Christian Leadership Conference. Then as that award honored Cook for what he’s doing today, the American Institute of Graphics arts announced that it was looking to a longer history. It revealed that it would be presenting a design medal to Susan Kare, the original designer of all Mac icons. How much do you know about the upcoming phones?